Just a quick post. Im in hurry i had to go working in an hour and im still in my pajamas ;) I'm ill again :(. I have no idea what to do, to get more healthy. 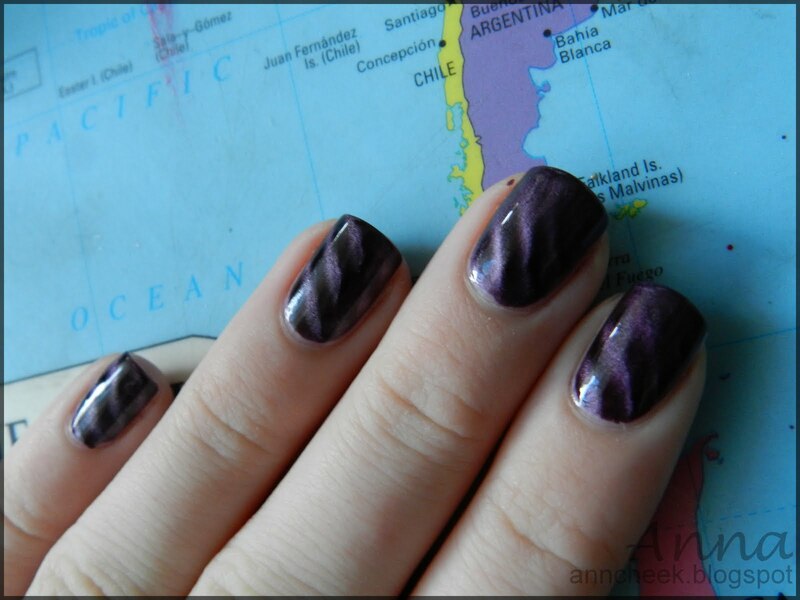 Anyway i just want to show you this gorgeous i bought recently in Sephora ;) Its From Pupa and it is Magnetic Nail polish in 29-Magnetic Violet. Zelo lep efekt. Imam Essence in Alessandro magnetne lakce, ampak jih redko uporabljam, ker se mi Essencovi okrušijo že isti dan, Alessandrov pa je tako gost, da se mi skoz razlije po obnohtni kožici ali pa razmaže na magnetu. 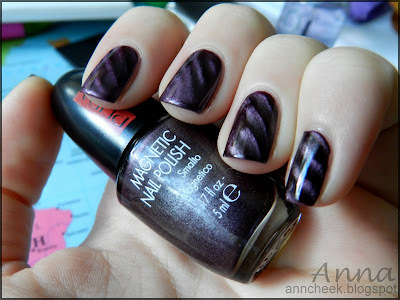 I have one of these magnetic polishes by Deborah in green but I haven't tried it yet...I actually like it this colour better :) Now I'm curious to try it too!